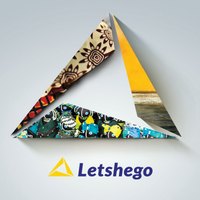 Letshego Holdings Limited (“Letshego”) was incorporated in 1998, is headquartered in Gaborone and has been publicly listed on the Botswana Stock Exchange since 2002. Today it is one of Botswana’s largest indigenous groups, with a market capitalisation in excess of USD500mn, placing it in the top 40 listed sub-Sahara African companies (ex-South Africa), and with an agenda focused on inclusive finance. Through its eleven country presence across Southern, East and West Africa (Botswana, Ghana, Kenya, Lesotho, Mozambique, Namibia, Nigeria, Rwanda, Swaziland, Tanzania and Uganda), its subsidiaries provide simple and appropriate consumer, microfinance and savings solutions to the financially underserved. Letshego is committed to skills development. The Group employs over 3,000 team members, representing more than 20 nationalities, servicing over 360,000 borrowers and 100,000 depositors through 315 customer access points. Further information can be found at www.letshego.com. To manage sales of the company’s products and services within a defined geographic area, province or country. -Ensures consistent, profitable growth in sales revenues through positive planning, deployment and management of sales personnel. -Identifies objectives, strategies and action plans to improve short- and long-term sales and earnings.